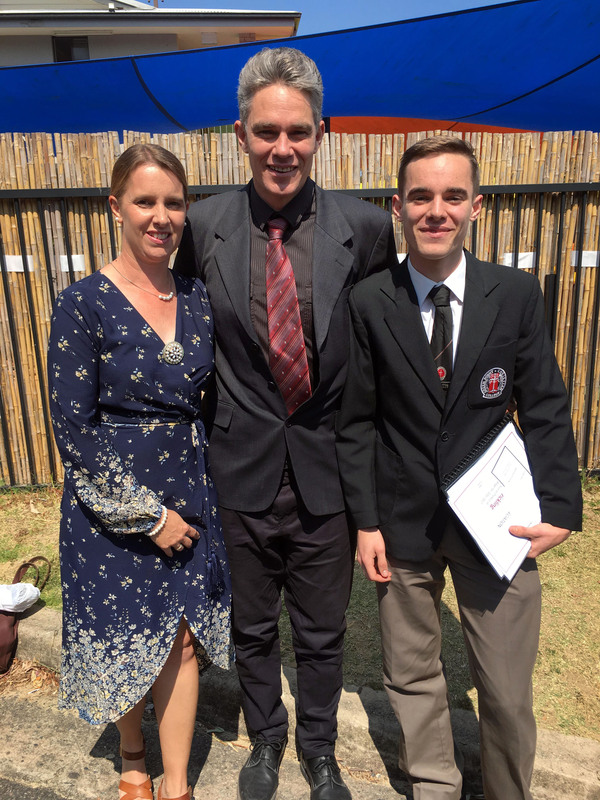 A ‘real life Nutty Professor’ has saved £38,000 ($66,000 AUD) to send his kids to private school – by making inventions from junk. 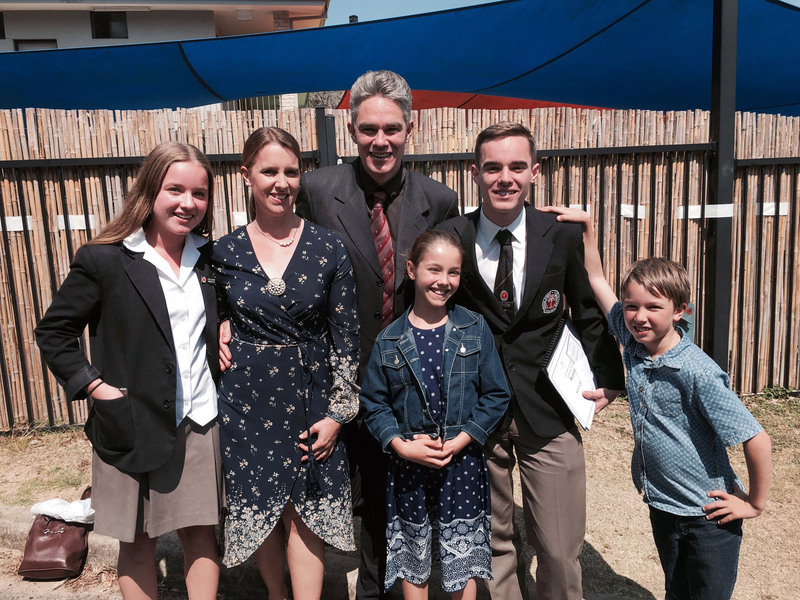 Thanks to his fertile imagination, married dad-of-four Jacob Strickling has also been able to take wife Rachel and children Matthew, 19, Esther, 17, Mikalah, 11, and Samuel, nine, on once-in-a-lifetime trips to Fiji, Vietnam, Japan and China. 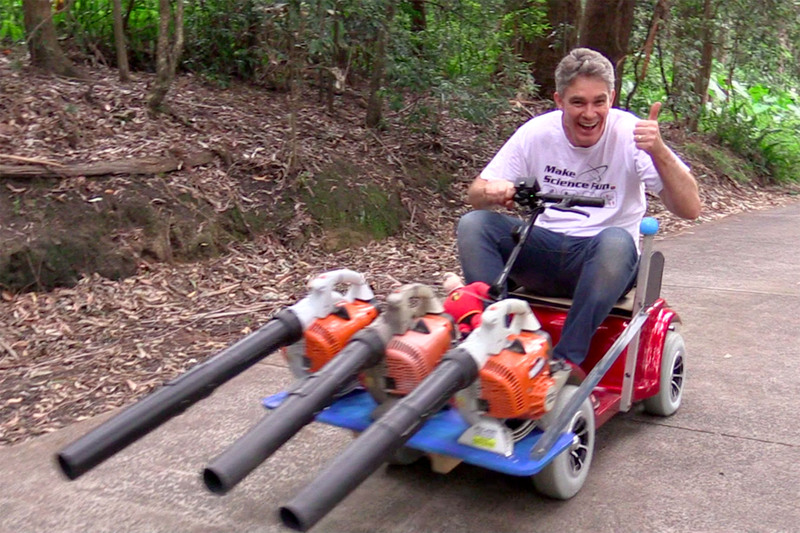 The secondary school science teacher and YouTube star trawls the streets near his home of Terrigal, New South Wales, Australia for scrap he can turn into bizarre creations for fun. But the 46-year-old’s hacks have also reduced his family’s spending by thousands of dollars – with a turbo leafblower saving £850 ($1,500 AUD) on drive-clearing costs and homemade Total Wipeout equipment netting thousands on expensive children’s parties. Savvy Jacob said building inventions to save cash has allowed he and wife Rachel, 45, a homemaker, to not have to worry about money. He said: “I have always loved science, I have always loved pulling things apart and finding out how they work. “I love building fun stuff for my kids, and often ‘turbo up’ their toys – they might have a little plastic car, but I’ll soup it up with a much bigger motor. “Inspiration comes from everywhere – if I see a child rocking on their chair, I’ll come up with an invention to stop them doing that. “With science, the best way to learn is by doing and I’m always thinking of unusual ways to learn. “But there is a money-saving aspect to my inventions too – I am definitely someone who will try to save money where I can. “It was a lot of payments to send our kids to private school, so that is definitely a motivation. “Saving money has also allowed us extra spending money to go on holidays to amazing places like Vietnam, Japan, China and on skiing trips. “Hacks to make our house solar active and passive have saved us hundreds on electricity bills, so means we can afford a big place for our family. “It all makes it easier for Rachel and I not to have to worry about money. Engineering graduate Jacob set up his YouTube channel Make Science Fun four years ago when he was contemplating leaving the teaching industry to go into science shows. He now has 26,000 subscribers to his videos documenting his favourite inventions and has since been offered TV appearances and book deals – with his Facebook views surpassing 200 million. 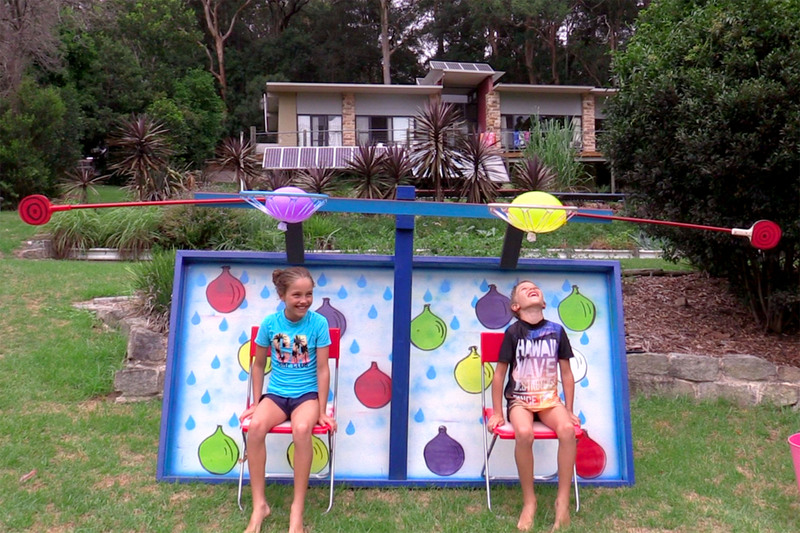 Jacob’s kids love their homemade water dunk chair more than they would a backyard pool – saving the savvy dad an extra £23,000 ($40,000 AUD). And by designing and building his own solar passive active home in 2004 and developing his own air-conditioning systems, he has avoided splashing hundreds on electricity bills. 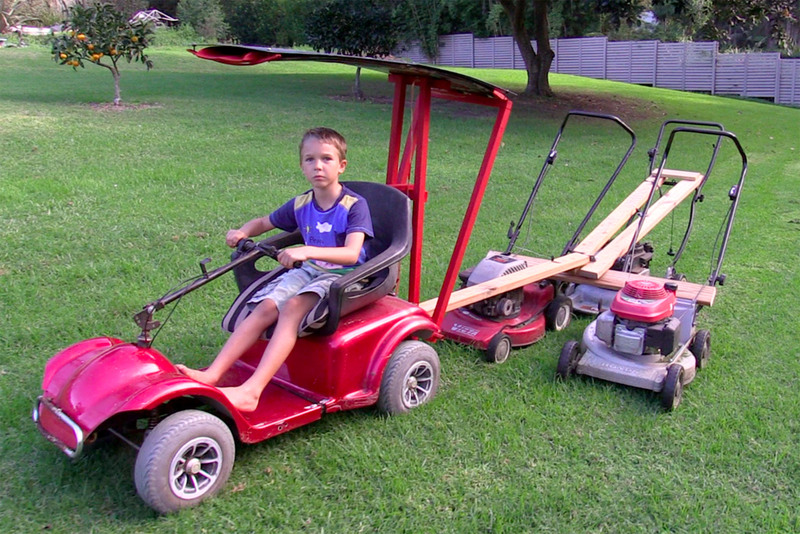 Other inventions, such as his triple lawnmower and go-kart trash bin hack haven’t saved any money but have persuaded the children to start doing more chores. Jacob said: “I started making YouTube videos because I enjoy spreading positivity into the world and making a difference. 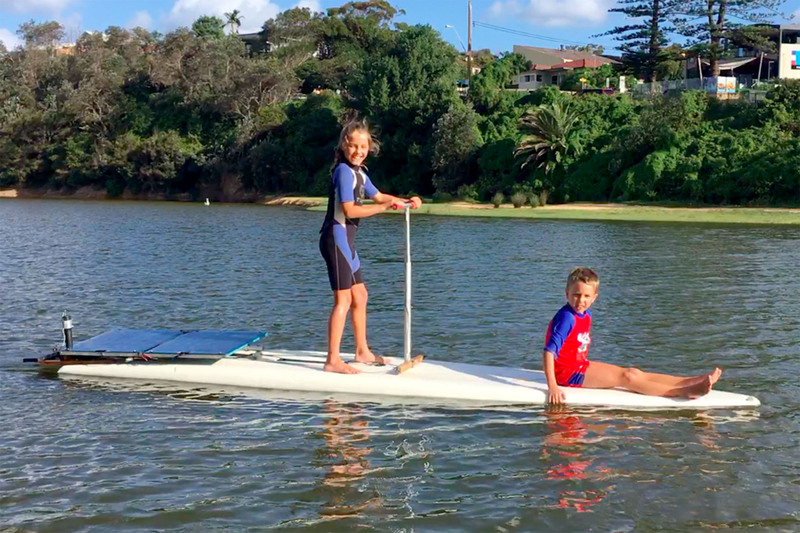 “Subscribers to my videos have called me the crazy professor from Down Under, but others say how good it is to see the kids outside and a dad spending time with his kids. 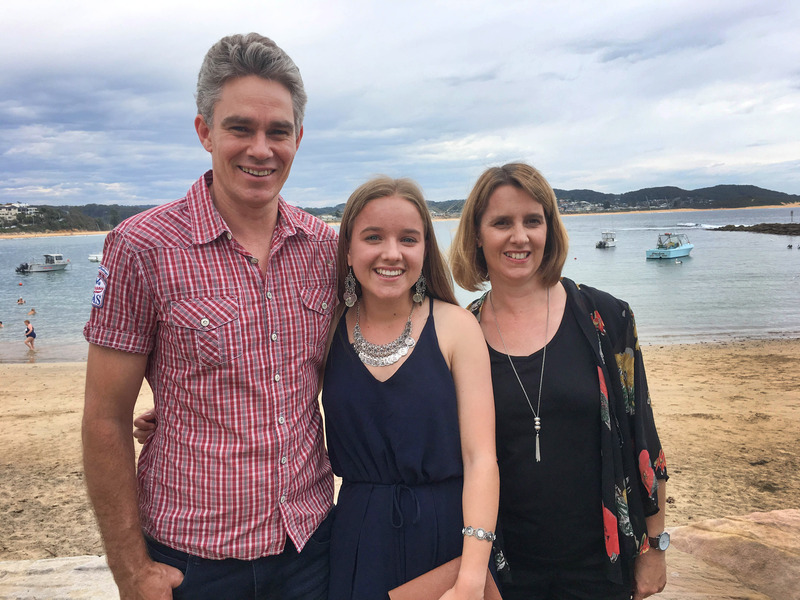 “The kids and I will go out on a Thursday night – the night people leave their junk out here in Terrigal – and will just look for stuff we can use to build things with. – Mosquito trap built August 2017 – £11 ($20) saved on mosquito coils and sprays.